Bluetooth Smart, the intelligent, power-friendly version of Bluetooth had been pegged by experts as a technology all set to strengthen the case for Internet of Things. However, being limited in terms of range when compared to other technologies like Wi-Fi, Bluetooth Smart didn’t have the mesh networking capabilities. But there’s great news ahead. Bluetooth SIG recently announced the formation of the Bluetooth Smart Mesh Working Group that will work towards making mesh networking an extension of Bluetooth Smart by 2016. Check out this article to learn how Bluetooth SIG plans to use mesh networking to push Bluetooth technology in the smart home. Beacons with their micro-location capabilities and the ability to push location-specific messages to apps on mobile phones have put hyper-local marketing back at the top of the hype cycle. However there is one major challenge associated with it – most stores lack insights on what the consumer did before and after their visit. 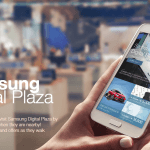 This further diminishes the accuracy of in-store proximity marketing campaigns delivered by brands. This is exactly what Unacast in trying to solve by asking Proximity Service Providers to work in networks. Check out this article to learn how they plan to bridge the online and offline profile of consumers, to help brands make the most of proximity marketing. 3. 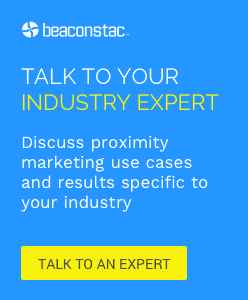 Are Brands ready for Mainstream Beacon Deployment? In a recent study by AirSpace, 99% of UK brands who participated said that they are considering including proximity marketing as a part of their 2015 marketing plan, of which 79% are planning to implement proximity marketing over the next 6 months. While this marks a signalled shift towards the explosion of beacon-led consumer interactions in 2015 and beyond, many marketers, even today are unaware of how to integrate beacons with their mobile strategy. 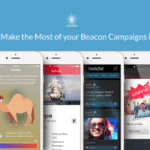 Check out this article to learn how how brands can make the most of the next phase of beacons. For more than two decades, South by Southwest (SXSW) has been drawing enthusiasts from all over to come and sample the latest in culture and technology, and connect with like-minded folks. But as the Austin festival grew larger (it now sprawls across 110 stages and 265 venues), meeting up with people casually, got harder. 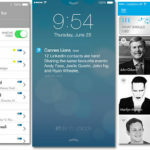 Check out this article to learn how SXSW plans to leverage iBeacon technology to bring people together via 2015 SXSW Go, the newly launched app. When it comes to beacon deployment, it is highly beneficial for businesses to make their beacons accessible through other brands’ apps, than building a siloed experience ( by allowing their beacons to interact with their app alone). This holds true, particularly in the case of large venues (such as malls, cities, events etc.) that drive a lot of foot traffic generated by a diverse group of people. Check out this article to learn how Estimote plans to use its recent update to Estimote Cloud – infrastructure sharing to let brands grant third party apps access to their beacons in an easy and secure way.